"Built using Laravel Spark, Travito's in-page editor, cloud based file manager and easy to use calendar system were all made possible thanks to the fantastic Laravel ecosystem. 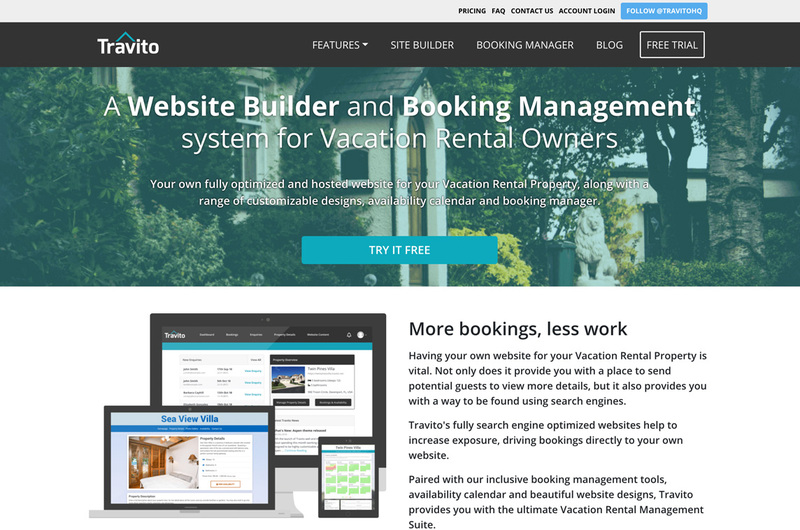 With regular new features and integrations, Travito is fast becoming the go-to provider for Vacation Rental Websites. Our customer portal, where you can use the booking manager and webpage builder are all built on top of Laravel Spark. The individual site frontends use a standalone Laravel based system, making use of redis caching and load balancing, allowing for a reliable experience. Finally our website is built on the widely used Laravel based OctoberCMS."